Prologue: what follows are reflections on Easter and its meaning by G.K. Chesterton, a former atheists who being of an open mind changed his mind on and the meaning of life and whether or not there is a point to the universe (the logos, so called). I’d like to share these reflections with the Ovi readership for this Easter season of 2014, lest we reduce this transcendent event of the resurrection to mere chocolate rabbits and colored eggs. I believe that they will undoubtedly interest the believers and as well as the non-believers among us. They in fact stand on their own rational merits. Chesterton titled them The Spring of the Soul and wrote them in 1932. A Happy and Meaningful Easter to all! 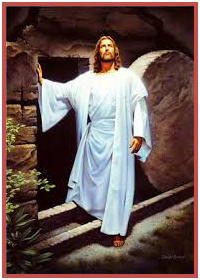 “Easter which opens on earth the gateway of the Spring, has been for all our race and culture the season of Resurrection. But in diseased conditions like our own there has come to be a standing quarrel between two schools about the order of the two ideas. 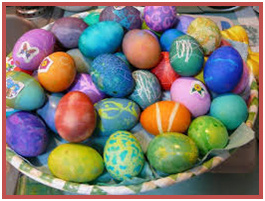 Christians and all inhabitants of the ancient culture feel that Spring is the symbol of Easter. Materialists, notably all sorts of atheist anthropologists, hold that Easter was only a symbol of spring. Professors of folklore insisted that primitive men (with whom they seemed to be on very intimate terms) had made up a rather unnatural masquerade of myth, merely to cover the natural facts of experience. By the time that common sense began to pluck up courage to question what were called the Conclusions of Science, it became apparent that there were a good many questions which science could not answer, and a good many points on which her conclusions were anything but conclusive. To begin with, the more chilly are in the habit of reminding the poet that when Winter comes, Spring is at least a quarter of the year behind. But it will also strike the natural man (as distinct from that most unnatural man whom we call the nature-worshipper) that it would be just as easy to turn the phrase from optimism to pessimism by taking another section of the year. It would be quite as sensible to say, ‘If summer comes, can autumn be far behind?’ And it is probably within the range of the intelligence, even of a pantheist surveying the whole universe, to foresee that winter will not only come, but will certainly come again. There is nothing but nonsense, therefore, in all pretences that the mere round of Nature itself is the source of our highest hopes or could by itself have evolved all that is meant by Resurrection. It is the soul that has received an unspeakable secret from heaven which it can only express in images of the earth, and naturally expresses in terms of the temporary resurrections of the earth. In other words, it uses spring as a symbol of Easter; not Easter as a symbol of spring. Anyone who will compare the beautiful lines of Shelley with some equally beautiful lines in one of Mr. Belloc’s sonnets will measure the difference made by a philosophy that happens to make sense. And something in me of the immortal sings. Here the poet does not talk as if next spring would last forever; on the contrary, he talks of last summer that is already dead. But he can sing over both because of something in him different which does not die. In this Spring more than all the other springs, in this Easter more than all other Easters, we have to face the awful exaltation of that truth. I mean the truth that Resurrection is of faith and not of any false analogy from the senses or the seasons. Three things at least, peculiar to the present time, prevent us from identifying that hope with a revival or riot of vegetation. First, the beautiful condition to which a few centuries of progress have reduced half the landscapes of the land. Remembered summer does not shine along the grass in Pudsey or Wigan, because there is no grass to shine. The natural life of things does not proclaim the Resurrection in Sheffield and Huddersfield, because the life of things is not natural. It is only the supernatural life that dares to proclaim it there. 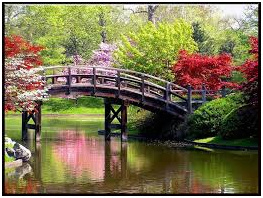 Poets cannot describe the town landscapes as changing with the spring. They cannot say that in the spring a brighter scarlet glows in the suburban pillar-box, or in the spring the wanton policeman gets himself another crest or even another helmet. It is only human hopefulness that can see any hope in the human institution of the pillar-box; and only by a great act of faith do we affirm that policemen shall rise again from the dead. Nature cannot help us now, even as a symbol; for industrialism has destroyed the natural, but it cannot destroy the supernatural. Second, we shall not fall into the pantheist fallacy of Shelley because it is only too likely that Nature, in the sense of immediate material resources, will take on a sterner aspect in later and darker days; the days in which nature-worshippers become devil-worshippers. Merely natural optimists will become very unnatural pessimists— and it will be quite natural. 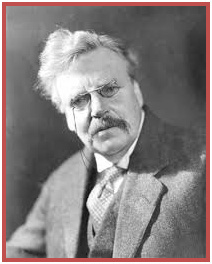 Chesterton is dead serious, and very much engaged in "spiritual combat," a crusader through and through, and yet he is very entertaining. His war sons are merry. Another paradox from the master of paradox. He entertains us as he engages mortal foes.